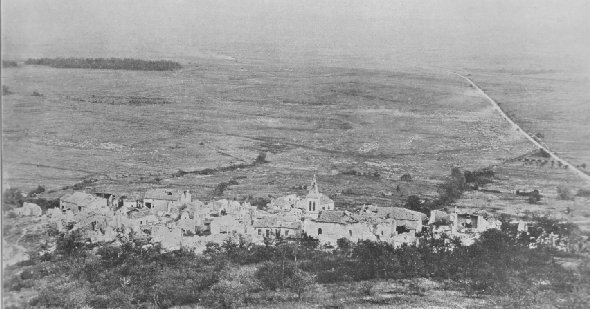 Town of Montsec, France, as viewed from Montsec Height, showing the nature of the country over which Americans had to advance. The smoke in the distance is from burning timbers of a dugout bordering what once was No Man's Land. The burning of Thiaucourt, France, on the afternoon of Sept. 12, 1918. 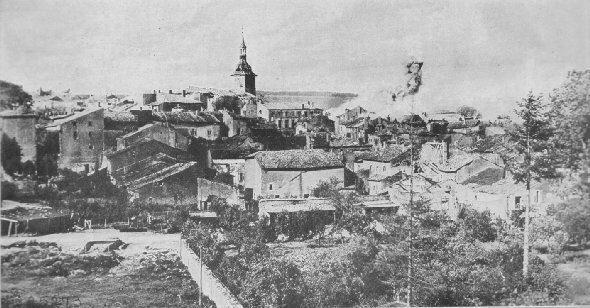 Fire was started by a German shell and the bombardment of the city was constant for several hours. For over 2 hours, Germans dropped 5 gas shells per minute.